added that the fusing of first and third party data means that advertisers will be able to target even more relevant ads to users than ever before, which will in turn offer marketers better ROI and more effective ads with less wastage. At the same time, Facebook claims it will offer users a better experience because they will see ads that are more appropriate and interesting to them. Overseas, marketers have tended to target segments of 100,000 users upwards and in some categories brands have seen a 40% drop in cost per lead generated. Facebook wouldn’t share any information about the value of the data deals, or how much it has shelled out to have access to Quantium, Experian and Acxiom’s data, or even how much it would cost advertisers on a CPC basis. But there is no minimal spend, and no fee for using the new data sets. “All advertisers get it for the same price as they would our normal targeting capabilities,” said Easton. Public, ‘by request’ and private, which gives advertisers the opportunity to create a bespoke data segment. Facebook has been running a trial with Nestle’s Purina brand in recent weeks to target pet owners. 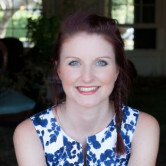 Antonia Farquhar, head of media and digital at Nestle Australia, said that the targeting capability allowed it to target actual pet owners, not just animal lovers, for the first time. She added that it has “set a new precedent” for finding customers on Facebook. Other brands on board include David Jones, Reckitt Benckiser (RB), American Express, Myer and Medibank. It will go live on 3 August for all advertisers through Facebook’s self-service UI. Facebook will be hosting a number of marketing events for advertisers and agencies in the next week to outline the new data segmentation capabilities. Acxiom combines more than 300 data sources including the Census, surveys and publically available data as well as first party CRM data for industries including retail, finance, automotive and telco. Likewise, Experian’s data sets include census and tax information, proprietary research into consumer behaviour and preferences. Quantium, 50% owned by Woolworths, works with around 200 Australian businesses, and derives anonymous data from retail transactions from NAB, property info from CoreLogic, subscription TV viewer habits via Foxtel and supermarket loyalty information from Woolworths. Facebook has signed a deal with three of the biggest global data providers to allow Australian advertisers to fuse third-party offline data with its online datasets and serve ads based on actual purchases and other offline information. Its new Partner Categories offering means that advertisers will be able to “close the loop” by bringing offline behaviour onto Facebook and target ads beyond the things people say they like on Facebook and demographic info. Facebook outlined how advertisers will be able to segment offline shopping data gleaned through Quantium partner Woolworths’ loyalty program or NAB, to target people. So for example, a pet food brand will be able to target people who have previously bought pet food, with relevant ads, or targeting people who live in a house of a certain size or number of bedrooms. Or a cider brand could target Australians who have bought cider, excluding those that have already bought their own brand, to find new customers. 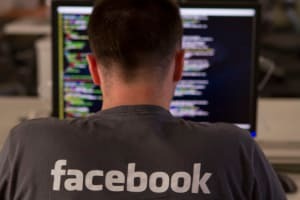 It will mean Facebook advertisers have access to what is likely to be one of the biggest available data sets in Australia. The social network is quick to point out that all data will be aggregated and anonymised and none of the parties will be sharing data with each other. All the data will all be “hashed” to remove identities and no personal information will be shared. Users can also still control what kind of ads they see. “We think Partner Categories has the potential of transforming the way marketers connect with audiences in ways we simply haven’t seen before,” Facebook Australia MD Will Easton told AdNews ahead of the launch. Partner Categories can be used with all Facebook’s existing targeting tools and also allows advertisers to target across devices. Because Facebook can identify logged-in users across devices, it goes beyond cookie tracking, and means that brands can adopt sequential creative and push greater storytelling though digital ads. Facebook already has global deals with Acxiom and Experian that are live in the US, UK, France and Germany, but Australia is the first country to launch three data partnerships simultaneously. Easton, who is set to take on a regional role in Facebook APAC next month, added that the fusing of first and third party data means that advertisers will be able to target even more relevant ads to users than ever before, which will in turn offer marketers better ROI and more effective ads with less wastage. At the same time, Facebook claims it will offer users a better experience because they will see ads that are more appropriate and interesting to them. Facebook to enter the music streaming game?